Uploading articles to Intellectual Archive is free. To obtain DOI for your online-only article, please pay $5 using the PayPal button at the bottom of this page. 1. To add your work into IntellectualArchive - please select the branch and area corresponding to your work. 2. After that choose the appropriate Subject from the drop-down list below. If you do not find a suitable Subject - simply type it into the box below. You may also add one or two terms to make it easier for web site visitors to find your work. 3. Specify the type of registration you would want to have. In public registration your work and text description will be available to everybody. In semi-private registration the text description will be presented, but the actual file with your work will not be available to general public. Within the private registration - neither the file nor the text description will be available to the public. 5. Enter the short text description (Abstract) of your work (no more than 1000 characters). For public and semi-private registrations this description will be included into the Bulletin, which we submit monthly to National Libraries. 6. Upload the file with your work to the archive. Your file should be no more than 7 MB. We accept almost any kind of file: (.pdf, .doc, .txt, .xls, .jpg, .raw, .wav, .mp3,. zip, .rar, .mid, .html etc.) The only kind of files we do not accept are command files: .exe, .bat, .php, .js, this is because they may contain computer viruses or other malware code. It is OK to combine multiple files into one WinZip or WinRar archive. In private registrations you can also password-protect your file for additional security. All personal details are optional. However we will not be able to send you your paper certificate via regular mail if we do not have your address. 7. Please specify if you want to send a short description about your work to libraries of Canada and USA and if you want to display the 'Like' and 'Dislike' buttons and comments on your work. I want to send a short description about my work to libraries of Canada and USA. I want to display the 'Like' and 'Dislike' buttons and statistics. I want to enter and display comments about my work. 9. To verify that we are dealing with humans (and not with robot spam submissions) please enter the following numbers into the box below (no spaces). 10. If you need DOI for the article(s) you are uploading, please use the PayPal button below to order it. 11. To order the printed Certificate of online publication with mailing to your address, click the PayPal button below. 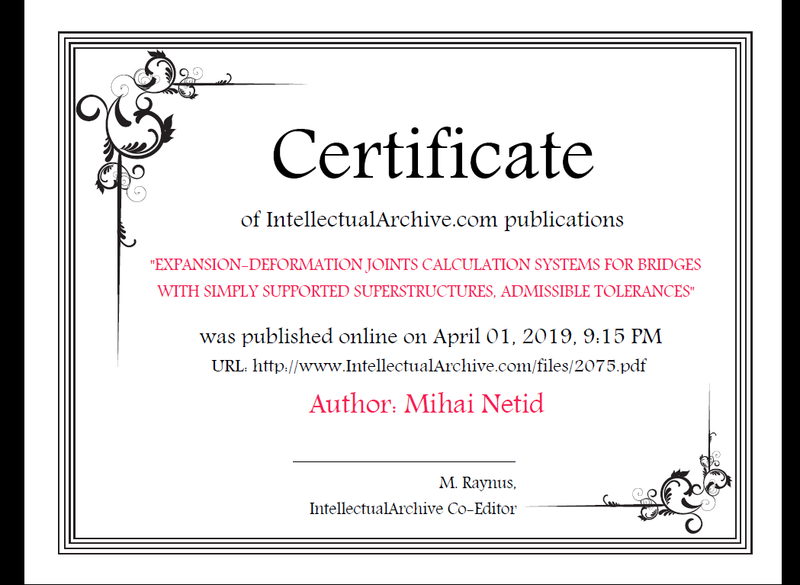 This paper certificate will be printed, signed and stamped by us and will contain your name, title of your work, date of registration, and the download link. Our certificate can be very useful for you in case of any copyright disputes or as printed confirmation of your scientific publications. 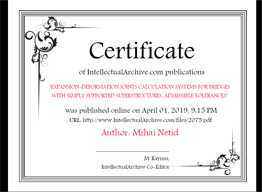 Here is an example of the Certificate of online publication. Click the image to enlarge it.